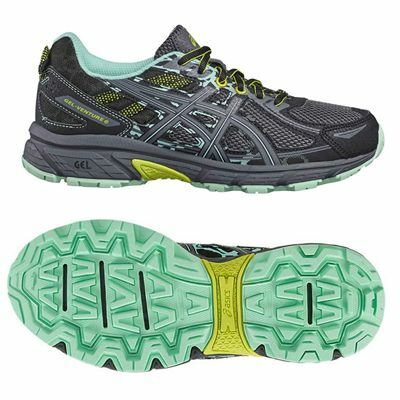 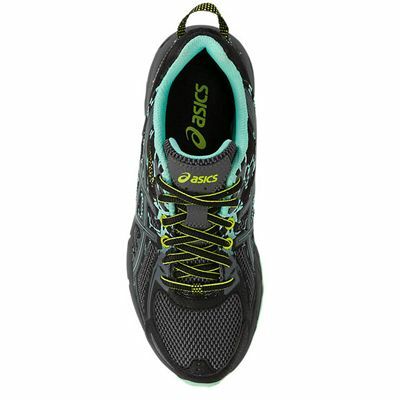 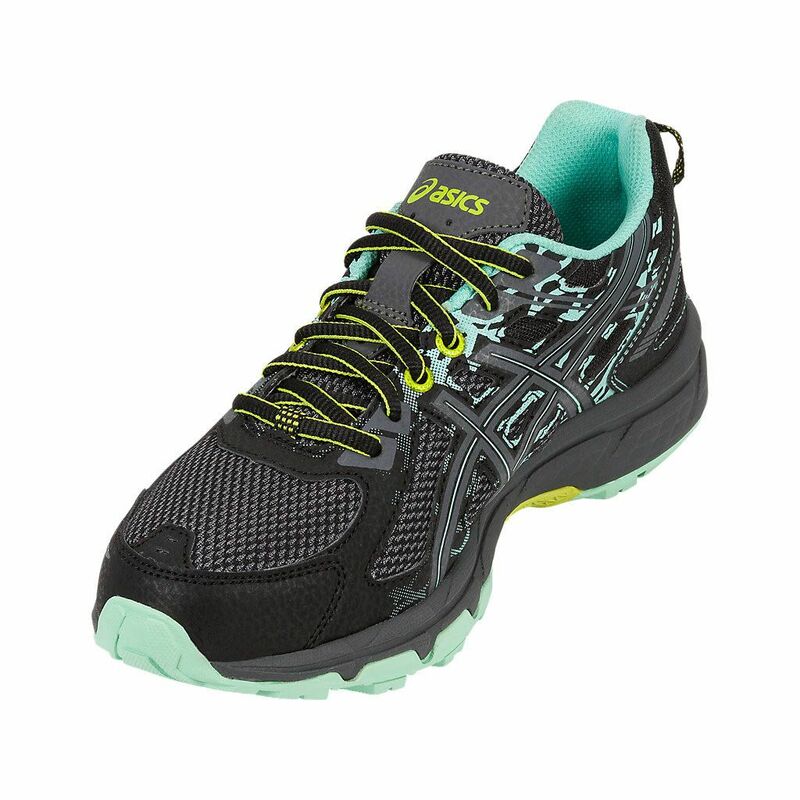 The Asics Venture 6 ladies running shoes not only look great thanks to eye-catching details, but also help you tackle wet, dry and rocky terrain and boost performance on hard-packed trails. These lightweight (261g) shoes have an upper made of synthetic materials and mesh to ensure a comfortable, secure fit and a fresh feel and a stitched down toe bumper provides protection and durability. 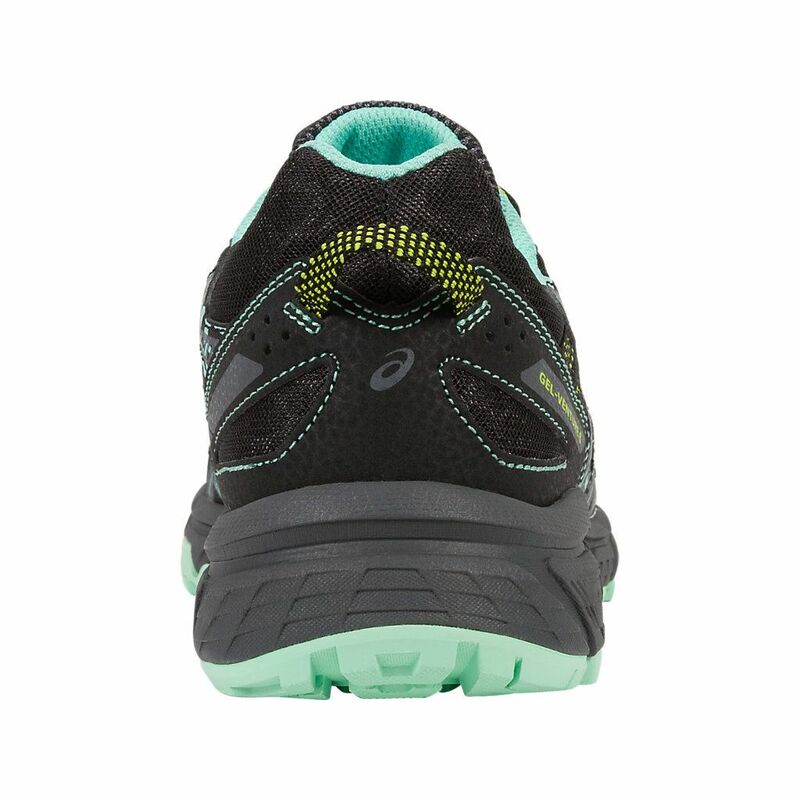 The midsole uses Rearfoot GEL® cushioning system to guarantee a cushioned ride, while a sockliner can be removed to accommodate a medical orthotic. For improved traction on various surfaces, there is a Trail Specific outsole produced from AHAR® (Asics High Abrasion Rubber) material delivering a better grip and abrasion-resistance. 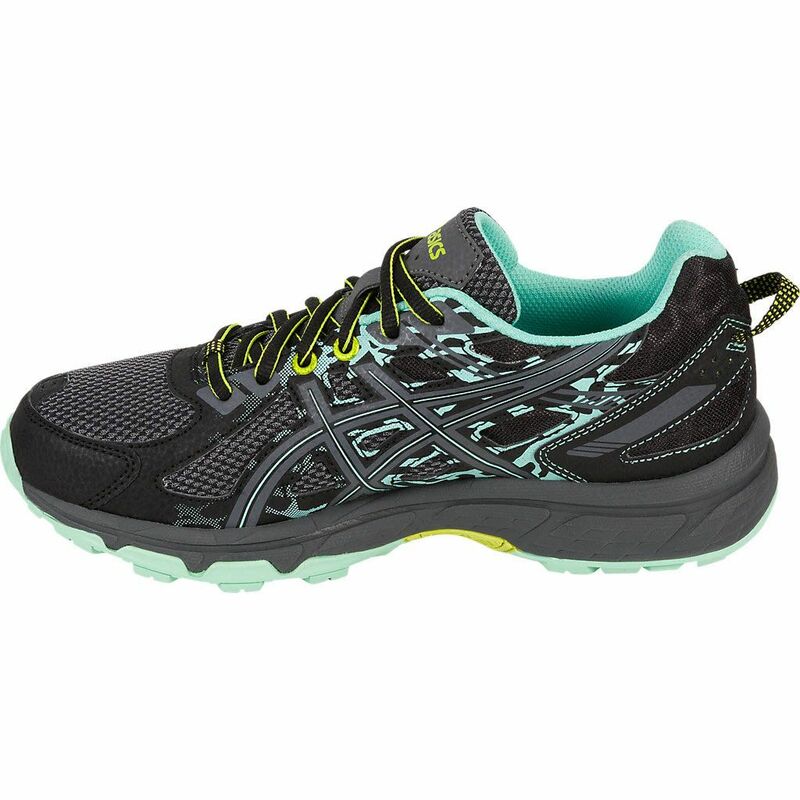 for submitting product review about Asics Venture 6 Ladies Running Shoes AW17.